1. The BlastIQ menu has been updated to separate the different streams of BlastIQ. 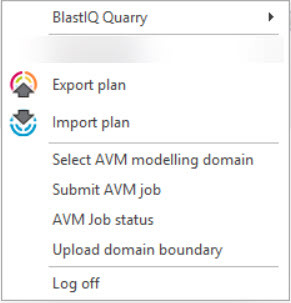 A BlastIQ Quarry sub-menu has been added that contains the functions relating to BlastIQ Classic. 2. 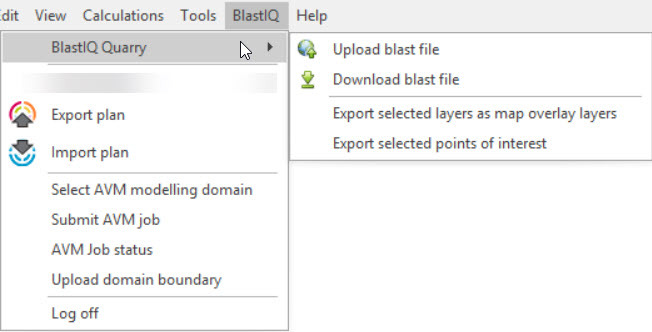 Import/Export options are still available for the BlastIQ™ System in the BlastIQ Menu. Toolbar items have also been introduced for these functions also.